New York: Peter Blum Edition. 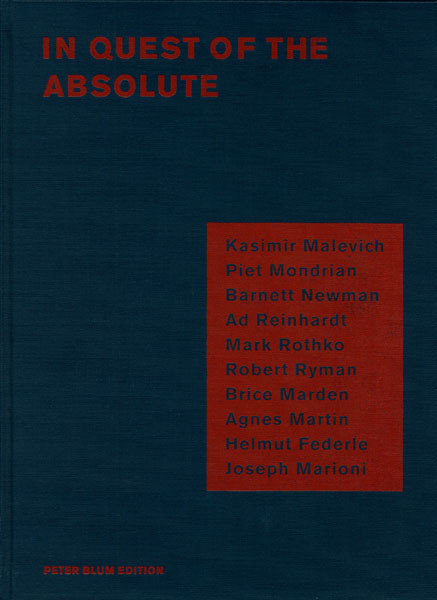 This volume contains full-color plates of important works by Kasimir Malevich, Piet Mondrian, Barnett Newman, Ad Reinhardt, Mark Rothko, Robert Ryman, Brice Marden, Agnes Martin, Helmut Federle, and Joseph Marioni. An essay by Erich Franz and prologue by Peter Blum are printed by letterpress. Edition of 2000, 90 pages, 10 color reproductions, cloth hardbound. • Please contact gallery for availability.